The cantankerous online pirates are still at large, with 22% of of all consumed content online in a year having been obtained illegally, according to new info from Ofcom. 1.5 billion files were downloaded illegally in the country last year, with 35% of all films watched online being pirated. 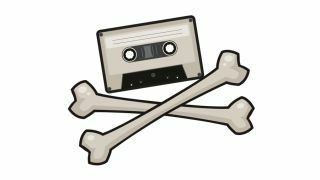 Pirated music meanwhile accounted for 22% of all music downloads, says the report. But it's also worth pointing out that just 2% of internet users made up three quarters of online piracy over the year, meaning the section of perpetrators remains highly concentrated. What shall we do with the serial downloader? Ofcom also notes that just a quarter of people who consumed the most pirated content would actually stop if they believed they would be dealt a lawsuit. It pointed out that the figures mean that no isolated enforcement solution will likely answer the problems with online copyright. Instead it suggested a "complementary mix of measures including better lawful alternatives, more education about copyright matters, and targeted enforcement".